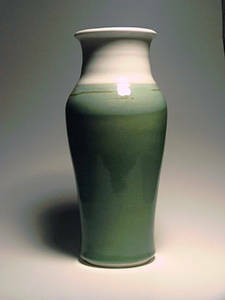 Description: Beautiful celedon and white, high gloss vase. Classic shape. About 12" tall. Marked in red "Pel" (I think). 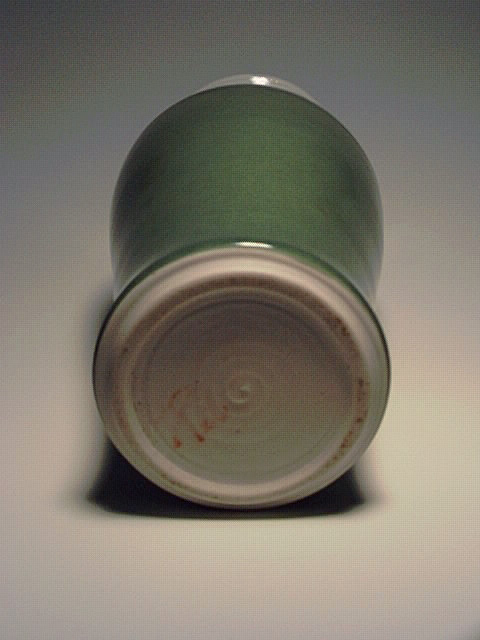 Hand thrown, heavy, dense, white clay.